Tools and materials aren’t the only things kept on hand at a successful commercial worksite. Whether its important customer information, technical manuals, or safety logs, there are a number of important files which any worksite may need to keep track of. Doing so in a busy, heavy duty worksite can sometimes prove difficult. In order to help commercial sites be a bit more organized with crucial files, The Workplace Depot is excited to offer lever arch filing bays. 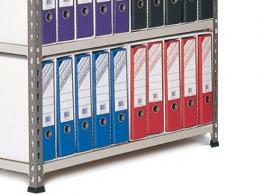 Keeping important documents, manuals, and files safe and easily accessible has never been easier. With these types of units, even the most active industrial worksite can protect important information and retrieve it easily as needed. 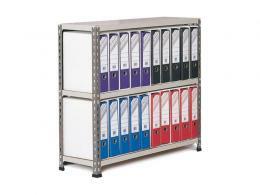 This product was designed to provide an easy to assemble, reliable, and compact unit for storing important files. Whether it’s in an office or workshop environment, lever arch filing bays can prove very valuable for keeping important books, forms, and records organized. Available in multiple sizes, these units can help a small or medium sized organization stay on track and never lose important files. Every worksite has experienced the issue of needing an important file or document and not being able to find it. 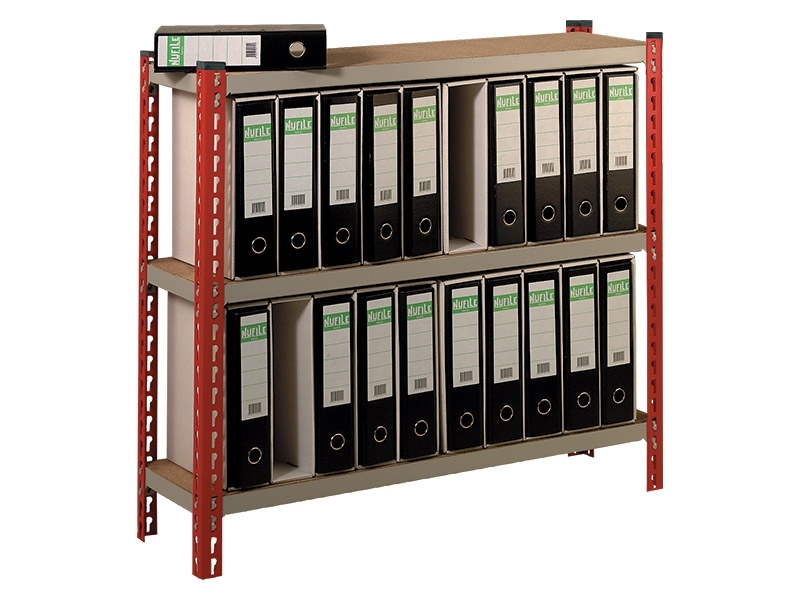 With units like these, any file can be easily labeled, stored away, and retrieved as needed. Even in a fast paced workshop, documents can be kept safe and in good condition. From safety managers to customer support specialists, numerous team members are required to keep track of important information and follow documented procedures very closely. Having a way to keep this information on hand can make any job move more smoothly. These FSC compliant chipboard shelves come in light grey, and the buyer can choose between models that support 20 and 50 files. 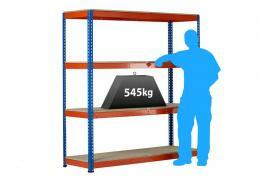 The easy to assemble boltless design means anyone can set this unit up and begin using it very quickly.